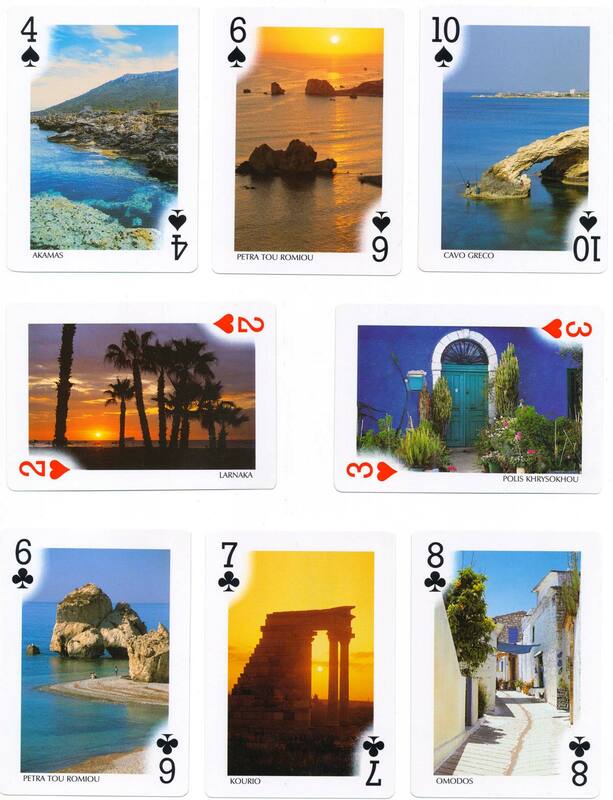 Cyprus Souvenir playing cards published by Editions Michalis Toubis S.A., 1998, with beautiful photographs of the Republic of Cyprus on each card. 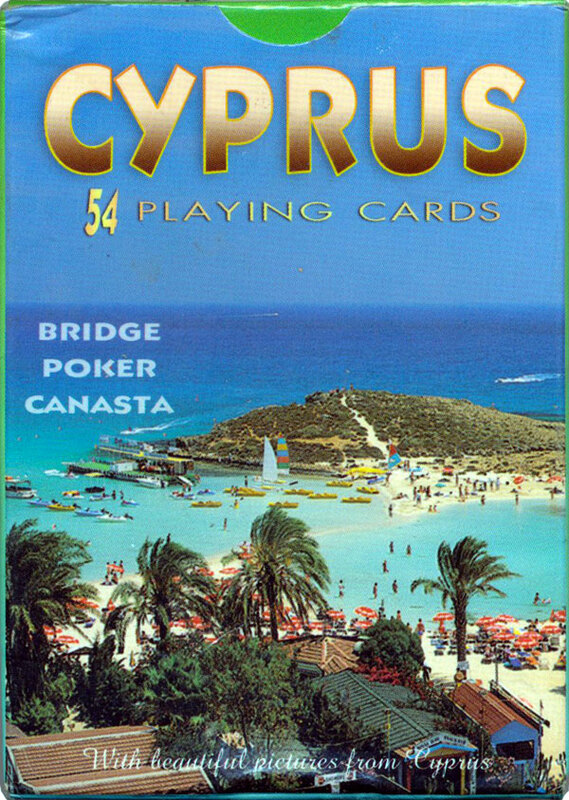 Above: Cyprus Souvenir playing cards published by Editions Michalis Toubis S.A., 1998. 52 cards + 3 jokers in box. Images courtesy Matt Probert.